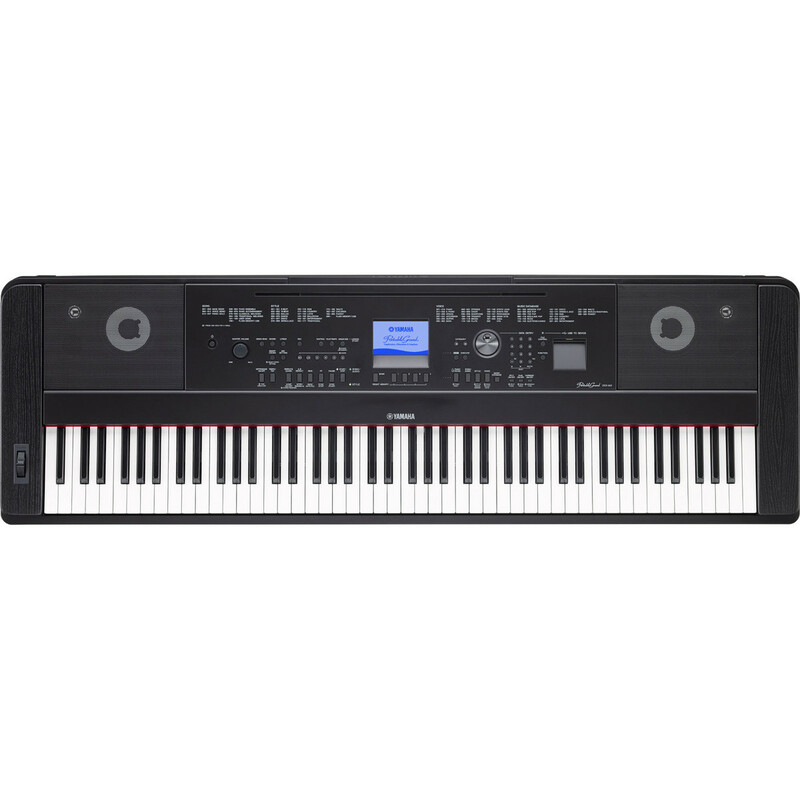 The Yamaha DGX660 Digital Piano is a contemporary digital piano that provides pianists a fun way to enhance both their creative and performance experience. The DGX660 features 88 keys with GHS key action, 192-voice polyphony and 554 voices, as well as 205 backing styles and a graphic display. Now players of all abilities can feel what it's like to play with a band and sound like a professional while the built-in USB audio recorder captures every moment of musical inspiration. 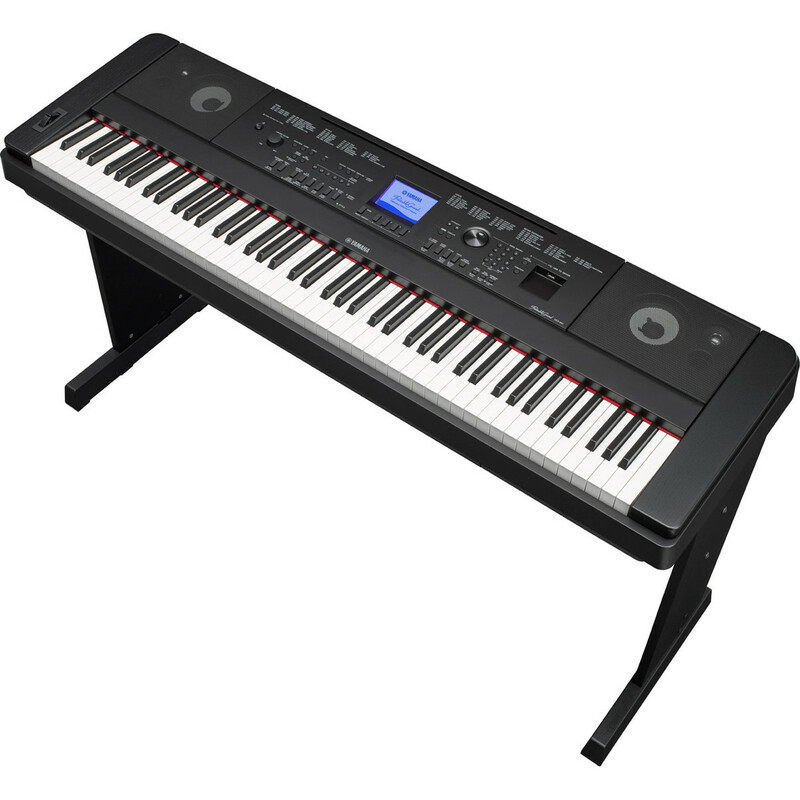 Special Offer - In a limited time offer Yamaha digital pianos and keyboards purchased between the 15th July 2016 and 31st March 2017 include a free 3 month subscription to the flowkey interactive learning app for your smartphone or tablet. 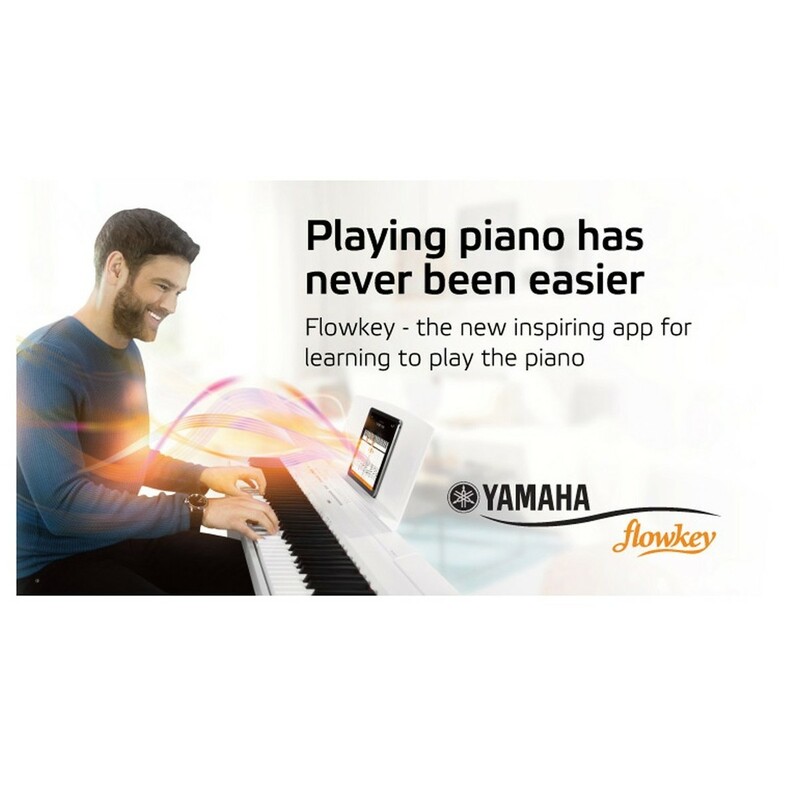 Yamaha and piano tutorial company flowkey have collaborated for a limited time offer to give you 3 months of premium learning. Simply download the flowkey app on your smartphone or tablet, register your instrument and begin your subscription. Premium flowkey members have access to over 500 songs covering major hits from pop, classical, rock and more. The user friendly interface allows you to learn each song in both a sheet music format as well as a play-along video. Thanks to the adjustable difficulty settings, flowkey can be used by complete novices and developed musicians alike. This intuitive app can even track your playing and offer instant feedback to help improve your skills. Any Yamaha digital piano purchased between 15th July 2016 and 31st March 2017 is now eligible for three months of premium flowkey access. Follow the link to the flowkey site and use your unique code to enjoy three months premium access, worth €38.99/£34, completely free of charge! 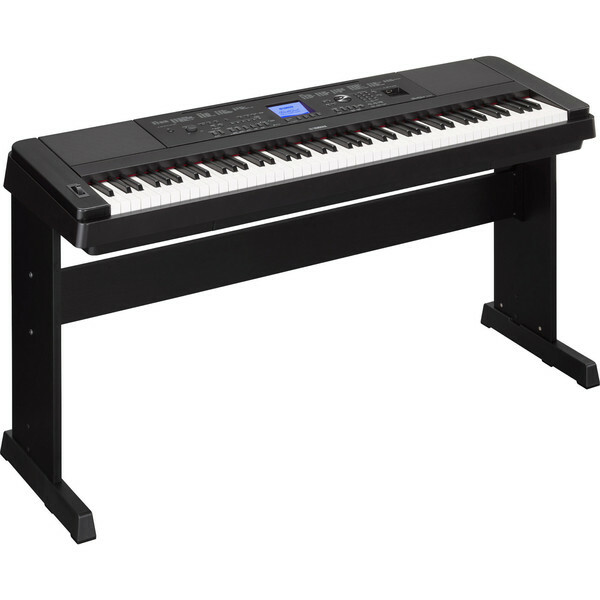 The Yamaha Graded Hammer Standard (GHS) 88-note keyboard features a weighted action with heavier touch at the low end and lighter touch at the high end, helping to faithfully replicate the feel of a traditional acoustic piano. For the aspiring pianist, practising on the GHS action builds and improves the proper finger technique, along with strength needed for performing on an acoustic piano. The Pure CF Sound Engine that is housed within the DGX660 combines many years of acoustic piano heritage with modern sampling techniques. Yamaha is renowned for its digital piano technology and you can certainly hear this in the Voice that utilise the Pure CF piano sampling. The sound of a Yamaha CFIIIS 9' concert grand piano is faithfully reproduced, resulting in both incredible dynamics and expressiveness. The DGX660 provides a dedicated virtual space where you can choose from a variety of pianos and acoustic settings, resulting in your own personalised practice or performance environment. Simply select your desired piano, then choose an acoustic setting from a plain room to a club stage or a concert hall. 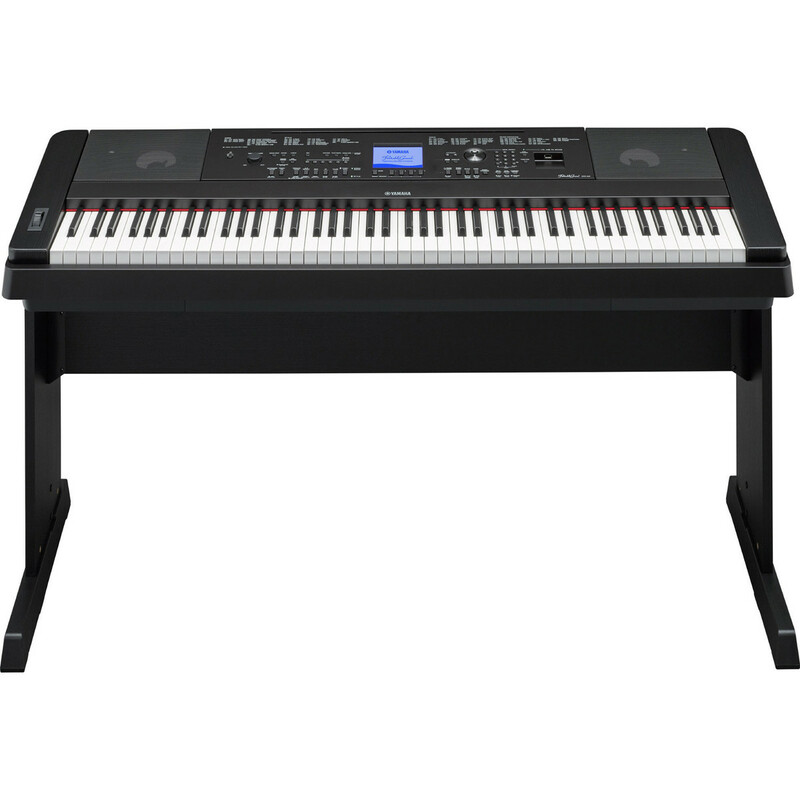 This Yamaha Digital Piano allows you to connect a microphone and sing along with your own playing, or with pre-recorded Karaoke song files from Yamaha Musicsoft. Lyrics are displayed on the DGX660's display, while your vocals and backing are mixed seamlessly together through the built-in speakers. Three presets are also included for added convenience, or you can create and save your own original microphone settings including professional reverb and chorus effects. Smart Chord ensures you sound like a pro, even if you've just started to learn how to play a song. With a single finger of your left hand, Smart Chord will create entire chords from simple Pop triads to complex jazz 7th and 9th chords. Accompaniment Styles then create the rest of your virtual band, while you get straight to playing the music. The innovative Damper Resonance function digitally reproduces the sympathetic vibrations created by the strings of an acoustic piano. When the damper pedal is used during a performance, other strings add resonance to the notes you play until the pedal is released. Authentic guitars, melodic strings, punchy brass and more... The highly acclaimed Live!, Cool! and Sweet! Voices feature a unique blend of long, stereo and multi-layered samples that capture the authentic essence of each instrument - right down to realistic resonance, expression and vibrato. With the DGX600 you can now record your performances or MIDI songs in uncompressed, CD-quality audio (WAV format) directly to a USB flash drive using the built-in Audio Recorder. This provides you with the ability to copy your songs to your computer, share them over the internet or transfer them to your portable music player. 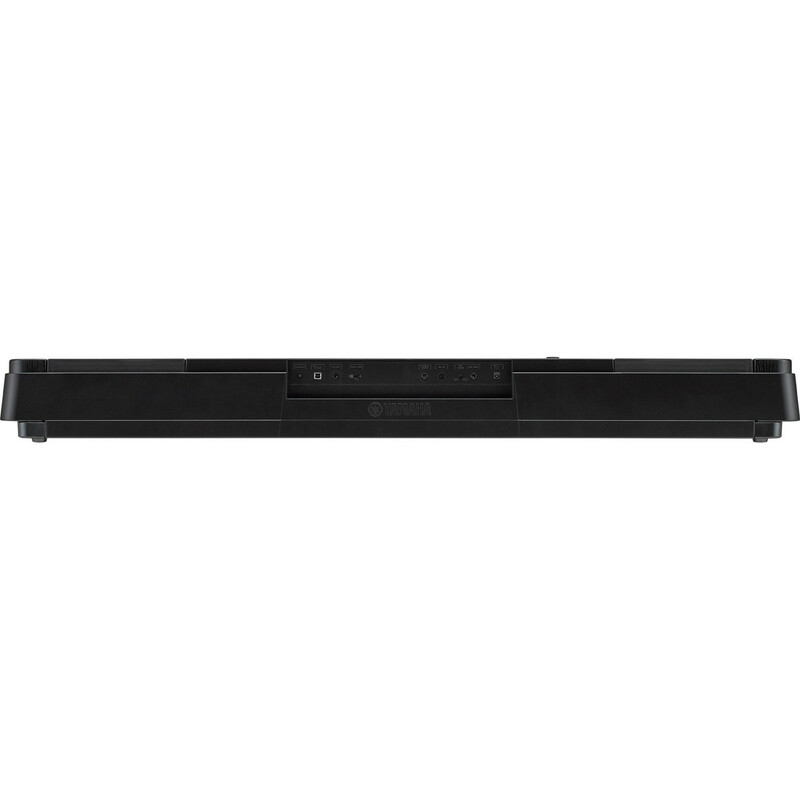 The DGX660 also has the ability to playback uncompressed WAV files stored on any USB flash drive, further expanding the creative possibilities.